« NY Regional ePortfolio Conference: Re-bundling Higher Education: High Impact ePortfolio Practice and the New Digital Ecosystem. 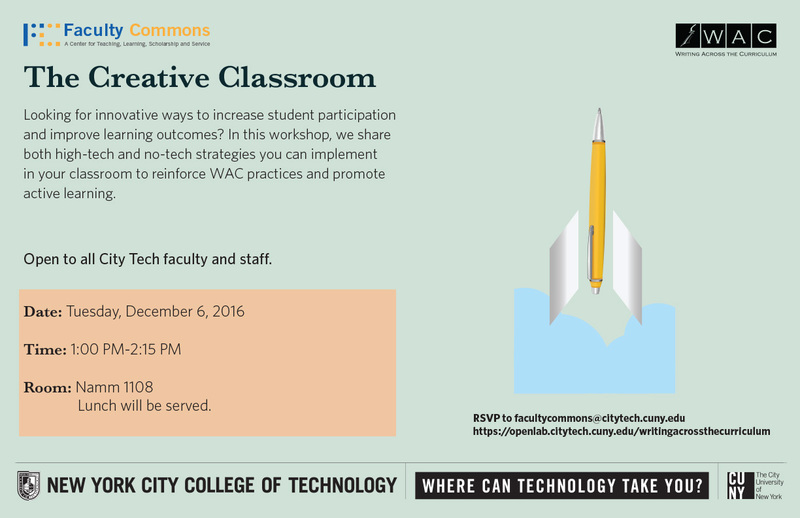 Looking for innovative ways to increase student participation and improve learning outcomes? In this workshop, we share both high-tech and no-tech strategies you can implement in your classroom to reinforce WAC practices and promote active learning.